Happy Tuesday, friends! I apologize for not getting this post up on its usual Monday morning. Yesterday was one of those days where all the errands and what-nots I'd been putting off reached that "I have to do this now or there will be consequences" stage. 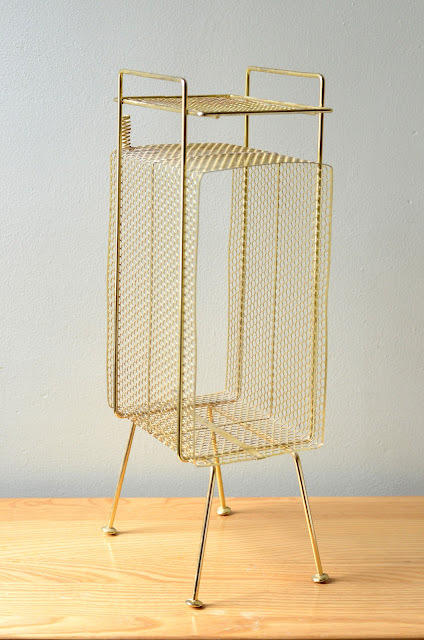 Luckily, I got it all done, and now that we've all made it through that Monday-morning fog, it's time to lay our eyes on some fun vintage I scored this past weekend. 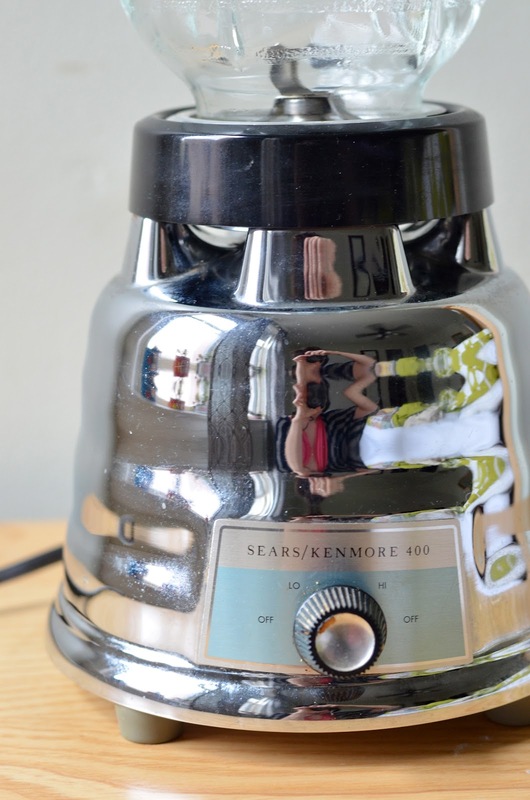 I've noticed, now that we're almost into summer, that a lot of estate sales are happening Fridays and Saturdays instead of Saturdays and Sundays (and some still go all three days). I hardly ever go to the Friday ones because I'm never off work in time, but there were a couple this past weekend that started at noon or 1 p.m. and went until 6 p.m. or 7 p.m. So once the clock hit 5:30 p.m., I dashed out the door to try and make it. 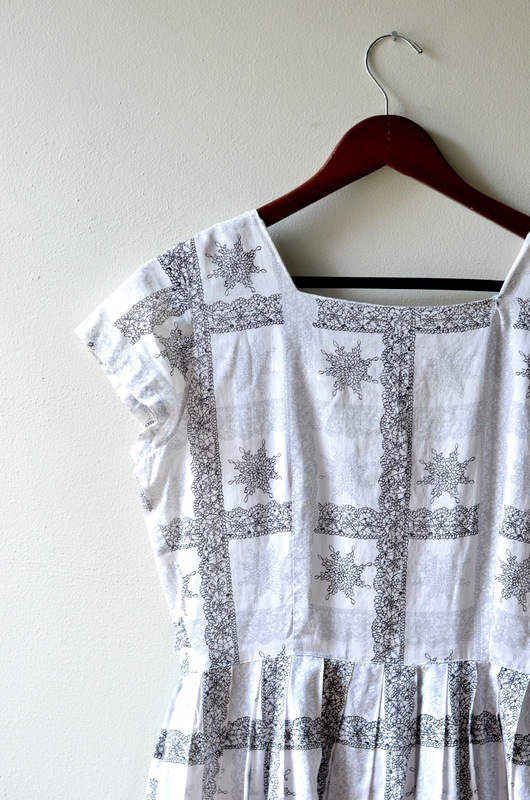 The first was a church rummage sale in the city, and it's another one of my favorites. They have it several times a year and always have good stuff at great prices. The second was a packed estate sale in Affton, and even though it was the first day, the prices were extremely reasonable. By the time I got downstairs I was searching for a box to put all my goodies in, and I went home with some great finds. Want to see? 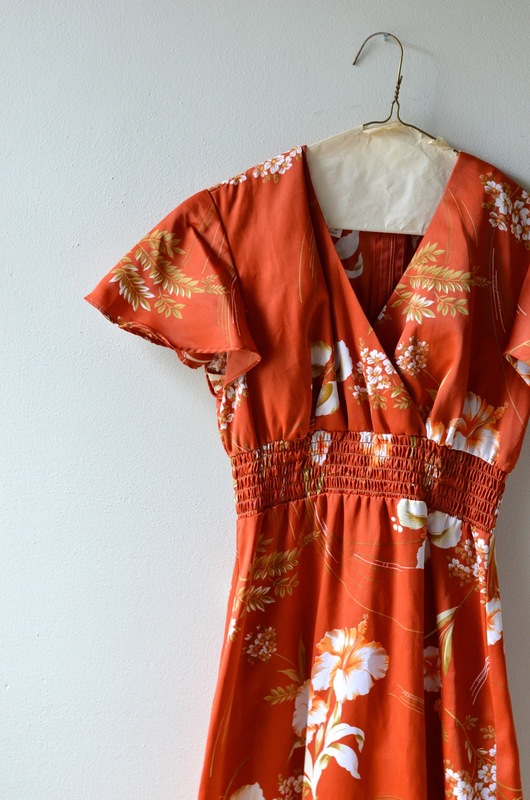 A lovely burnt orange Hawaiian maxi dress, for sale. 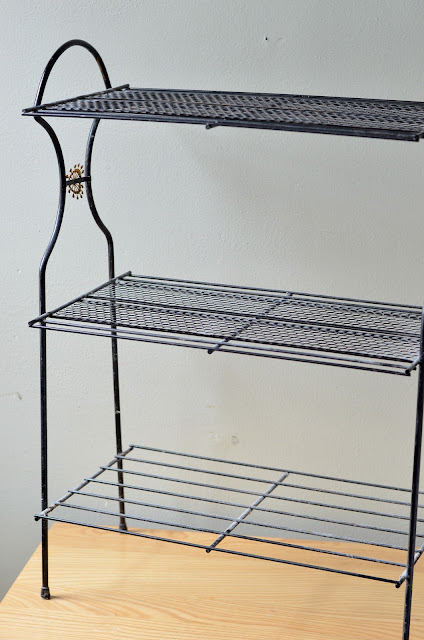 A black metal plant stand that will be getting a new color. Remember when I found that crane on the left? Well I found it again, this time with its mate. 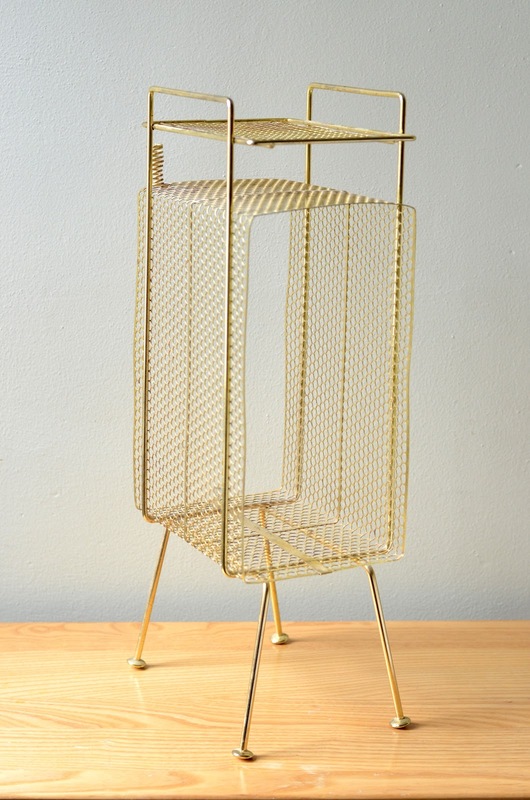 A really lovely telephone stand (complete with pen/pencil holder in the upper left corner). And no, it didn't come from Urban Outfitters. 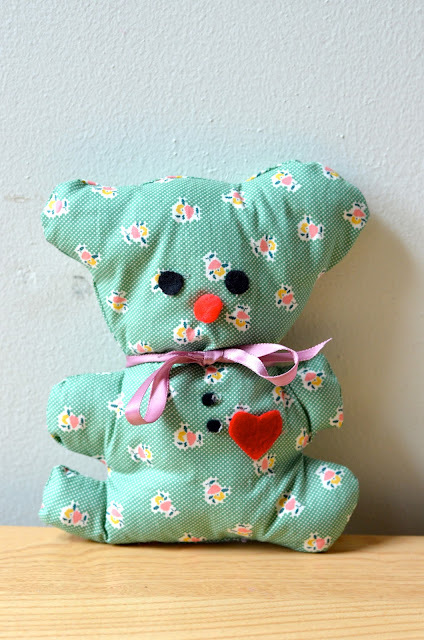 A cute little handmade Teddy bear with a felt heart. will be the subject of my first outfit post? A beautiful vintage Dessy maxi dress, for sale. Would be great for a bridesmaid! 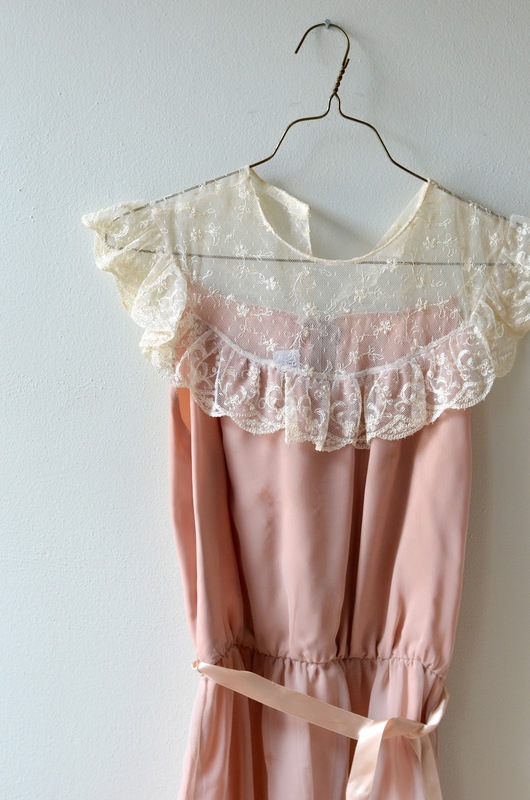 Love the lace collar. A set of four mod mugs, for sale. 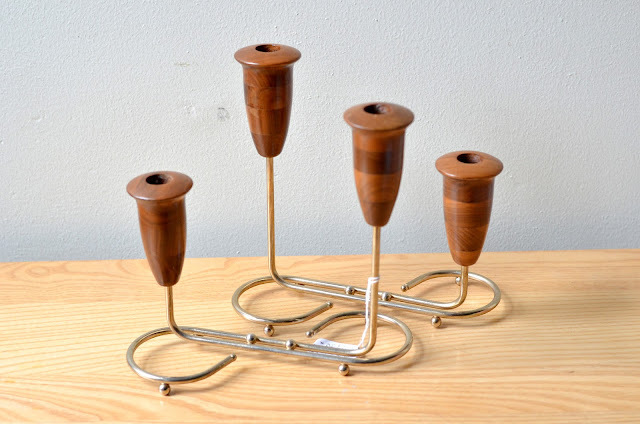 A set of retro candle holders with walnut on top and gold/metal stands, for sale. 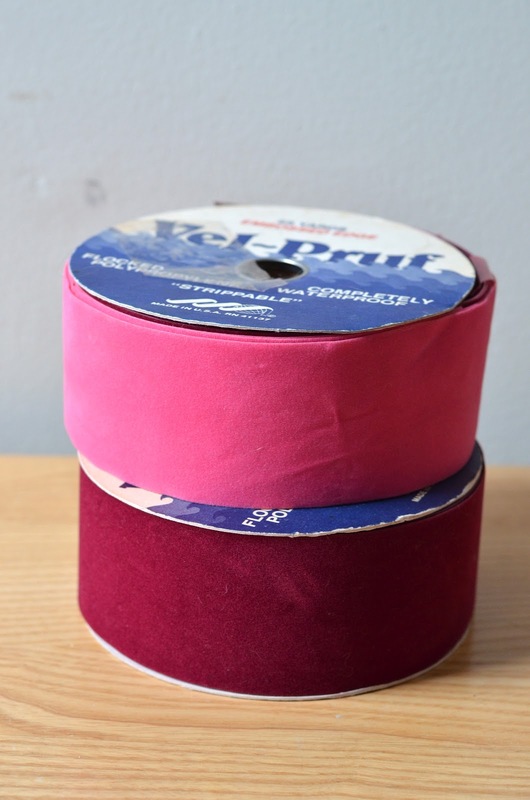 Two rolls of really wide vintage velvet ribbon, for sale. and shiny chrome on the bottom. And the label matches the teal in my kitchen perfectly, so it was meant to be. Now it's your turn! Did you find any goodies this weekend? Those two shelfy tables are insane. I LOVE THEM! 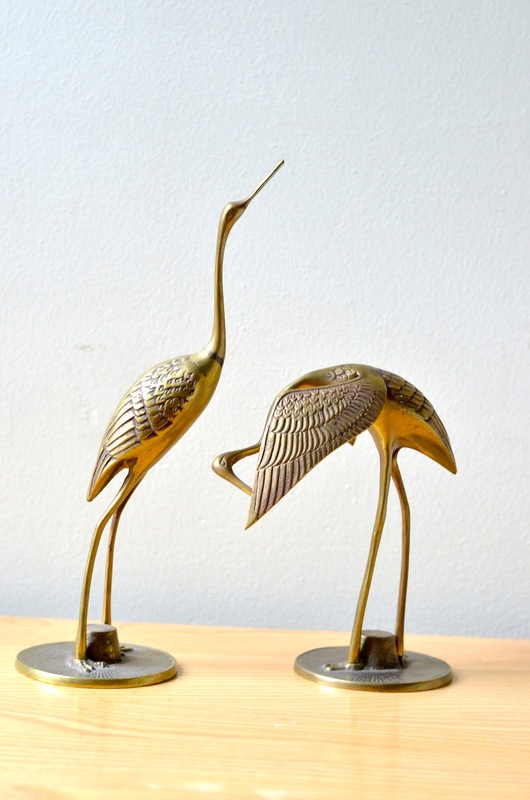 I have those brass cranes because I collect odd brass animals lol! 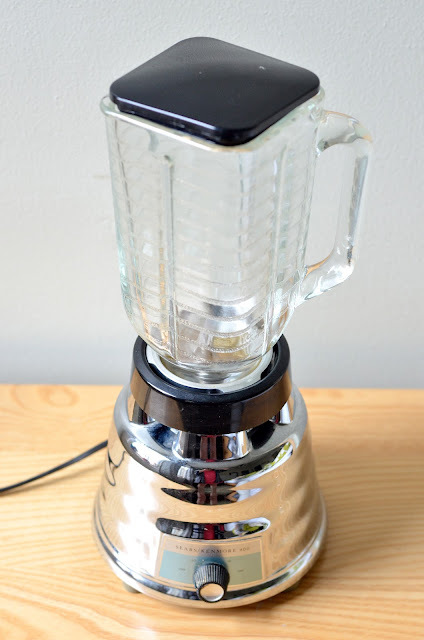 Love that telephone stand. I collect them, too! They're just too cute to pass up, aren't they? 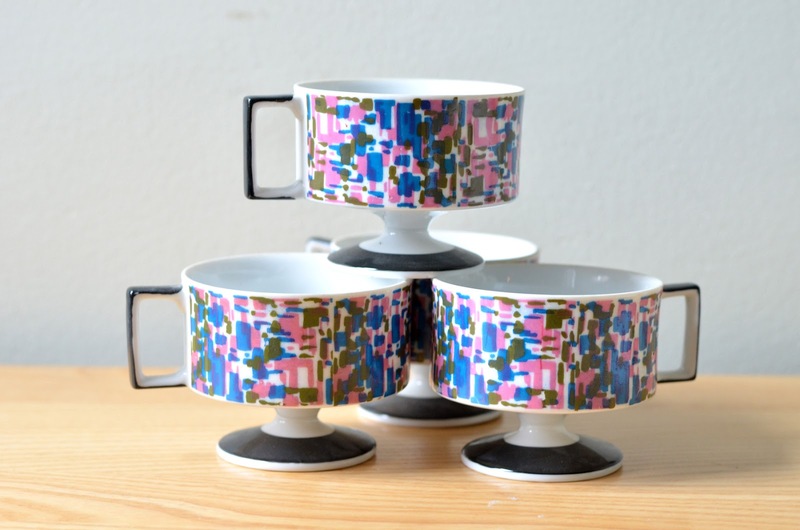 I'm lusting after those mugs and that telephone stand is amazing!